This movie is being shown at the Wingnut Friday at 7. This description that emphasizes the Islamophobia of the prison officials, courts, and media. If you’re able to send it to local mosques or any connections you have in the Islamic community, i’d appreciate it. 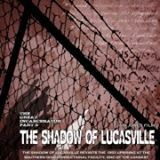 The Shadow of Lucasville revisits the 1993 uprising at the Southern Ohio Correctional Facility, one of the longest in U.S. history, while exploring the fight for human rights and media exposure through inmate uprisings in response to mass incarceration and dehumanization supported by the prison industrial complex. The film will be followed by conversation with death-sentenced survivors of the uprising, who will be calling in from the Ohio State Penitentiary, Ohio’s supermax prison. This film may be of particular interest to the Islamic Community, because the uprising was sparked by racial tensions and the warden’s refusal to respect the tenants of the Muslim prisoners’ faith. Imam Siddique Abdullah Hasan was targeted for prosecution and painted as the villainous “leader” of the uprising in court and by the media. The film is 60 minutes long, and is followed by call-in / Q&A with one of the prisoners who was involved in the uprising. 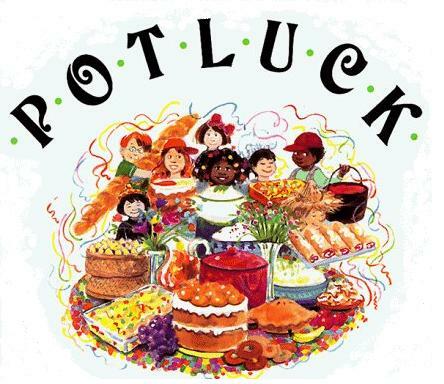 Organizations involved in prison issues and prisoner suport are highly encouraged to come table and share info!!! 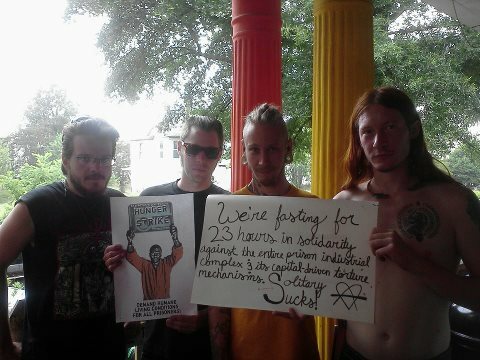 Solidarity with Virginia Prison Hunger Strikers has been formed to supportand publicize the hunger strike being launched by prisoner comrades at Wallens Ridge State Prison beginning Monday April 15th when men in segregation refused their first meal. 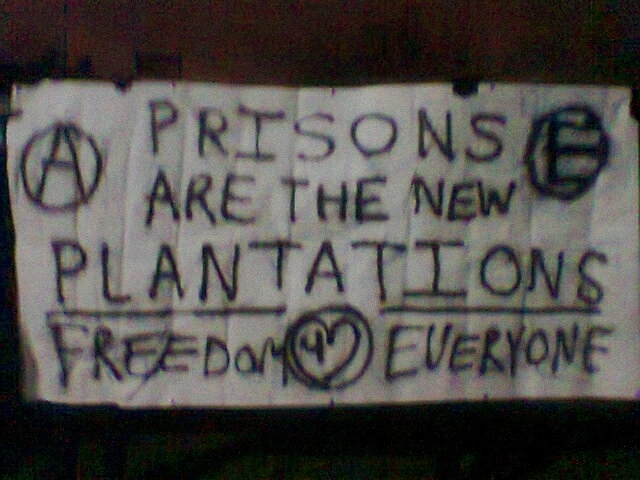 On Monday, April the 15th it was brought to the attention of the Solidarity with Virginia Prison Hunger Strikers Coalition that a hunger strike has been initiated at Wallens Ridge State Prison located in Big Stone Gap, Virginia.Based off inside information there are at least 16 individuals participating in this hunger strike. The status of the strikers is unknown at this time. Last May a hunger strike was initiated at Red Onion State Prison, which is located 30 minutes north of Wallens Ridge State Prison and could be considered its sister site. Between the prior hunger strike and the current one, the VADOC has conducted a new effort to transport many of the prisoners formerly held at Red Onion to Wallens Ridge. Although Wallens Ridge is a lower-level security prison it is commonly said by prisoners and ex-prisoners that Wallens Ridge is a more brutal and corrupt prison than Red Onion. Even though the technical status of Wallens Ridge is security-level 4 there has now been a new security-level designation within Wallens Ridge, in correspondence with Red Onion transfers, known as security-level S. According to the VADOC January newsletter the reasoning behind this campaign is to “give…offenders more programmatic opportunities and more pathways to lower security prisons” and that it has resulted in “..a reduction in the number of Administrative Segregation offenders, a reduction in incidents, and a reduction in offender grievances.” The fact that these young men are compelled to risk their lives in order to gain a little more fairness, a little more decency, refutes whatever the official line of the VADOC may be in its efforts to keep the population under its thumb. 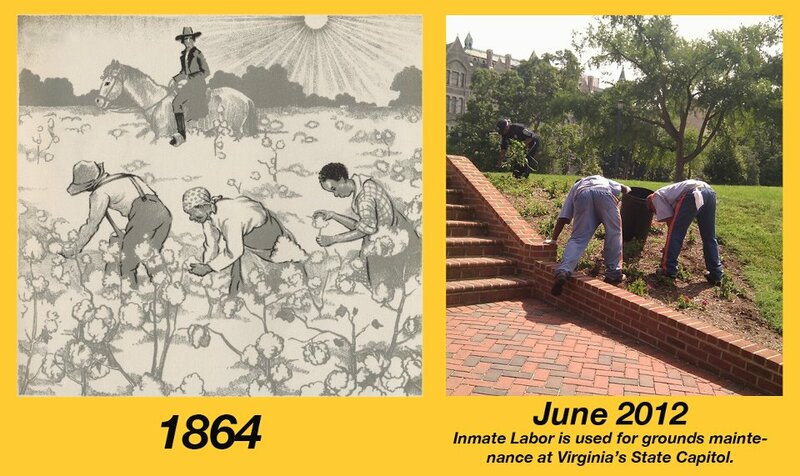 The VADOC and its agents are culpable for all torture and brutality that is inlicted upon generations of young black men who are living at the mercy of a justice system that specifically targets them based on their race and class. We support these hunger strikers and their demands against the oppression they face daily at the hands of correctional officers and the negligence of the VADOC itself.